Every Sunday morning, we do our grocery shopping. As soon as we are done, we always go to the bakery and treat ourselves to a muffin. We didn't do our normal shopping on Easter Sunday, so I missed getting a muffin this week, which left me feeling a little cheated. So, I went recipe hunting on Golden Blossom Honey to see what they had to offer to give me my muffin fix this week. I just so happened to have every ingredient on hand for these Banana Chocolate Chip Muffins, so I quickly whipped up a batch. I can't remember the last time a recipe had my family hanging around with baited breath, waiting to dive in, but these muffins definitely piqued their interest! They were so tasty, I am a little embarrassed to admit, I ate 3 today! Jam muffins sound really good! And yes, we do LOVE us some bananas! Those look ah-mazing, my friend. Can you ship a batch over to me? haha well eating 3 isn't as bad as eating them all. Those look so good!! My Hubs loves banana bread so I am sure he would be up for eating these if I made them. 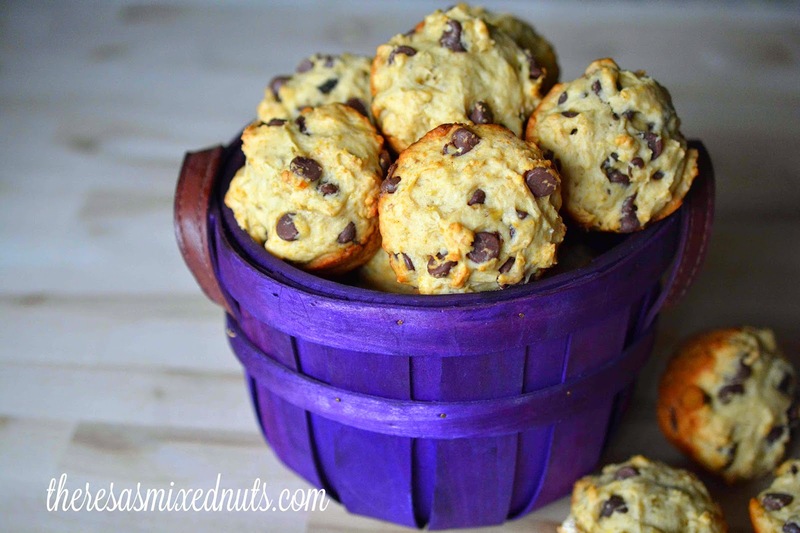 Personally I like Oatmeal Raisin muffins the best--but these sound delicious!! If there is honey included--I will love it! Oatmeal Raisin Muffins. I don't think I've ever had those. I must find a good recipe now! I do love oatmeal raisin cookies! These look like really tasty muffins! Who doesn't like chocolate chips? I love chocolate chips in muffins! So much better than blueberries or the like! They make them seem a little more decadent, for sure! Those look delicious. I love chocolate chips and bananas together. It really is a fabulous combination! Those look so good! I bake now with honey all the time since we are cutting back on sugar. Thank you so much for sharing the recipe! I love blueberry muffins! Oh my goodness those look so good! & I love that I can easily adapt them to my meal plan, making them perfect! You've made a few things with their honey lately. Looks great! Yummy! I like banana chocolate chip muffins. I could gobble these up for sure. Alissa, I think I would eat these up right away too. My kids would not appreciate that. Oooh, that sounds tasty, Rosey! Let me know how they turn out! These muffins sounds really good. My husband and son would love them. Are you embarrassed because you ONLY ate three? 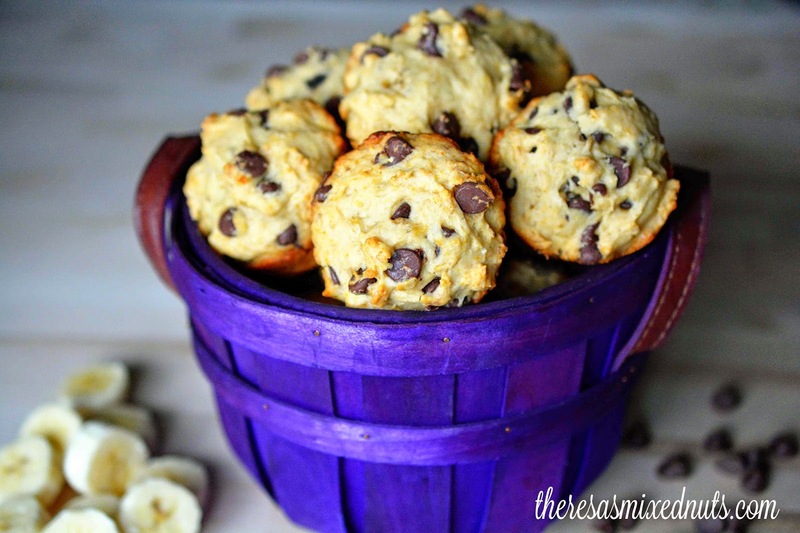 I love banana and chocolate chip with a passion, these are the muffins for me! Those look yummy! I'm not big into bananas but bet they'd be good in this recipe. This is definitely my kinda muffin. Chocolate chips are always perfect treats! I'm surprised there isn't a hand (or a hole) in the picture - they do look soo good! Time for a new tradition - forget the bakery muffins!!! I make muffins every single week. Everyone likes the Almond & Cranberry ones around here - made with honey! I have never thought to make muffins with honey. Sounds like a good option. I've never made muffins with honey. I love honey, and chocolate chips. It's definitely worth a try. Those look great. I have made this as a bread before but not muffins. Probably easier for my kids to eat! These muffins look so light and fluffy. I love that they contain chocolate chips and banana. Yummy! I love the banana chocolate combination! These cookies look amazing! My favorite kind of muffin would be blueberry. But these look and sound absolutely yummy. These look and sound amazing! I am definetley going to be trying out this recipe. I love banana and chocolate chip muffins and I also love blueberry and lemon. There is something about the combination of blueberries and lemon that make my mouth water. Hmmmm I wonder if muffins are on the airlines "No Fly List"? I could sure use one or three of these with my morning coffee....cheers! !